Gurgaon or the Millennium City is a popular investment hub of NCR that enjoys an excellent infrastructure and has a flurry of residential and commercial options available. 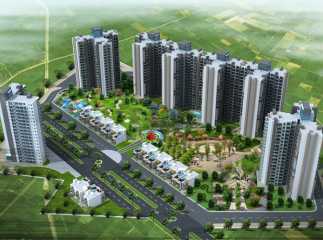 Real estate in Gurgaon has always been a lucrative investment option both for buyers and investors. Enhanced connectivity via Dwarka Expressway acts like an icing on the cake. High-end commercial and residential complexes, posh corporate offices, swanky malls, vibrant nightlife is what makes this place very attractive. The satellite town offers a plethora of top-notch properties to opt for. Stationed approximately 2 hours away from Delhi and one of the largest cities of Haryana, Gurgaon is well-known for housing a huge chunk of cosmopolitan population from every nook and corner of the world. It has beautifully evolved as a prime investment destination of the country and is a home to around 50% Fortune 500 companies. It has the highest number of working professionals and stands at the third position in terms of per-capita income cities of the country. 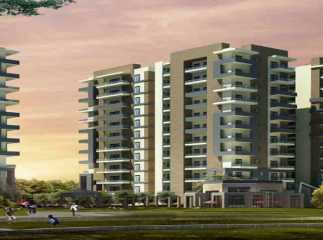 The inflow of people in Gurgaon is steadily increasing and thus boosts the demand for residential housing. Flourishing rapidly, it a significant real estate market of Delhi-NCR and is emerging to be an avant-garde city boasting of world-class infrastructure. Let’s explore the best location in Gurgaon that will yield maximum benefits. Property Sector 76 Gurgaon is one of the leading localities in the city that experiences a soaring property demand owing to its proximity to important places including luxury eateries and high-brand malls. It is one of the most-sought-after residential destination that has several reputed schools, hospitals, bank branches, etc. available just at an arm’s length. The area will enjoy enhanced connectivity as the proposed metro line passes through it linking the sector with major areas of the city. The projected Cybercity-II is also coming up at a brief driving distance from here. Enjoying a quality neighbourhood and an easy access to Golf Course Road and NH-8 makes it a fantastic residential destination. The IGI airport is also easily approachable from here via the Dwarka Expressway. 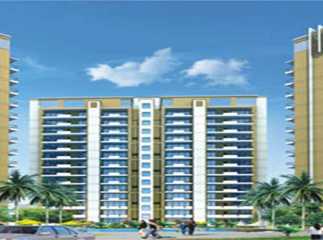 Property in Sector 76 Gurgaon, is in great demand and is considered to be a wise choice whether for self-use or investment purposes. For those who wish to invest in a project in Sector 76, Gurgaon, top developers like Godrej Properties, DLF, Vatika Group, BPTP, Raheja Developers, M3M and Parsvanath Realty have some of their top development over here. Residential apartments in Sector 76 Gurgaon are just the perfect a choice for buyers and investors alike. People can freely make an investment as the area is very fresh and soothing and offers you a comfortable and tension-free life. Parking your hard-earned money here will undoubtedly fetch you great returns.